If you’re hunting for a point of sales software to manage your retails business there are thousands of options available over the internet. You’ll be overwhelmed by viewing all these options with a lot of confusion. They’ll create a confusion regarding the best option for your business that supports in growth. A businessman always looks for a solution that helps them in regular growth. Being a retailer you wanted to have a complete point of sales (POS) solution that manages all of you. You wanted a software an end-to-end business solution that helps in business execution. So, let’s stipulate the requirements and features according to your requirement and industrial benefit. Today we’ll share the most the most recommended point of sales features especially according to your retail business. Let’s have a look at the features that should be looked in point of sales software for retail business. We’ll share the points that usually require to check out the counter i.e. cash and credit. These instant access keys are the shortcuts to include the commonly used items rapidly. The keys included in POS just need a single hit to include the products in the sold list. Good point of sales software allows you to quickly access and search the required product to check its availability and include in billing. This is a perfect feature that helps the cashier to easily add products. There is no need to jump into different screens. Simply search the product and create an invoice. The traditional POS systems have two payment methods cash and credit card. But today’s technology is revolutionized and POS allow mobile payments too. It also allows you to split payment. 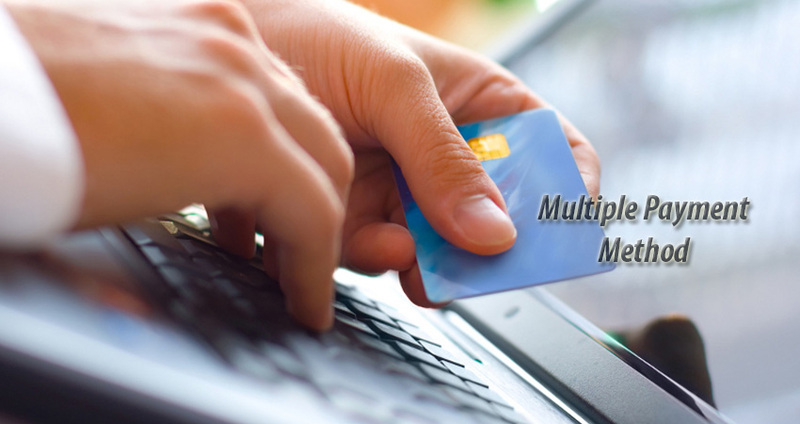 In online retail business other than COD, point of sales (POS) payment option allows having different billing and shipping address. Product return and replacement is an important success policy for a retail store. Customer like such policy, if they’ve taken the wrong decision it should be replaced or refunded. Therefore, it is important for your point of sales software to have an ideal product return policy. It should facilitate the customer with flexible return and refund options. Sales goals are important for retail businesses. Retail is not a one-man operation. There are multiple departments e.g. inventory control, customer services, human resource, and sales. A reliable POS software allows you to create different users to access the system according to their authorization access. Meanwhile, it gives you the admin rights to track information. This is an ultimate feature that supports you in goal setting as well as goal accomplishment tracking. You’ll also be able to track the employee’s performance. The point of sales system should be password protected that ensure that none of the unauthorized people may access it. Every user has their own login ID and password that helps in individual monitoring. This essential feature and you’re the only one to decide what rights should be given or what should be avoided. The customer should allow to watch the transaction screen to acknowledge their shopping. It develops a transparency of transaction, so, the error could be easily identified and removed. Let’s have an example if a customer has picked to one same thing mistakenly for more the one time. They may review the display screen and eliminate wrong products before final purchase. In this digital era, none of the business can afford to use a software just for personal machine or laptop. The software should allow mobile registration or could a mobile application. It allows the execution of different available devices e.g. mobile phones, iPad etc. Mobile registrations allow you immediate ring and locate the employees instead of waiting longer in queues. Make it sure to have the feature included in your point of sales (POS) system. 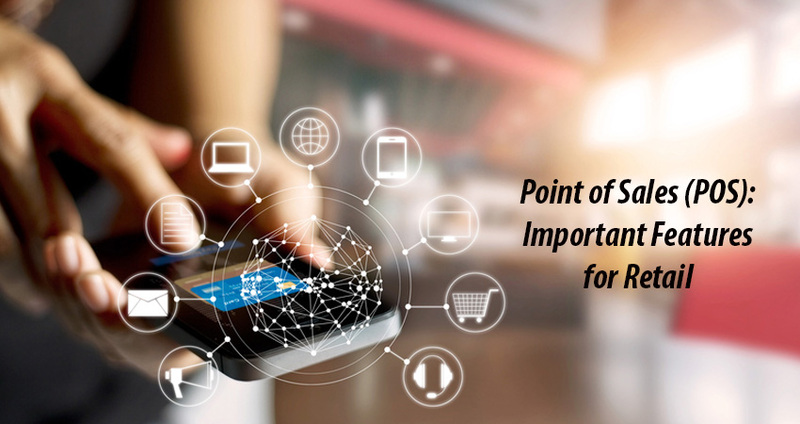 These are the important features of a POS that should be included to improve your retail management as well as customer services. Now, this is a time to check your budget. Make it sure to have your budget in range. Select the point of sales (POS) that fits with business core competencies. POS for online/digital retail business should also include all of these features for better customer experience. Your system should be user-friendly enough to ensure easy and secure check-out.